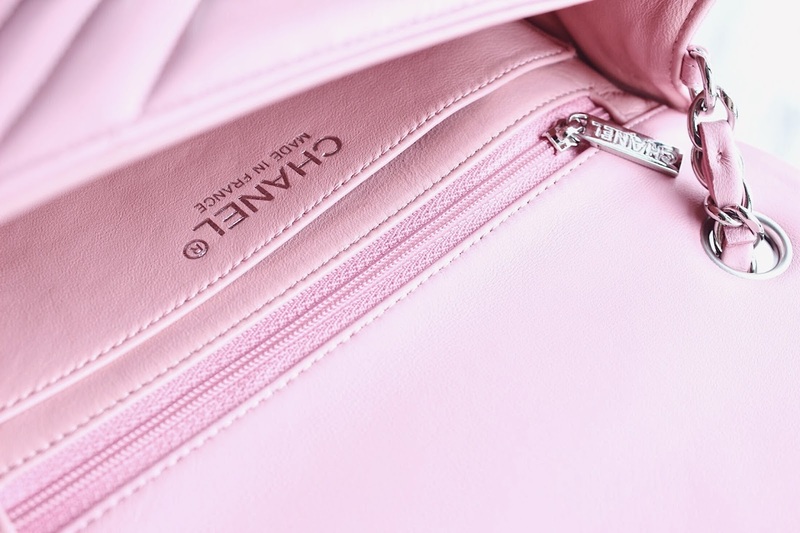 So a week ago, my very first pink Chanel bag has finally arrived on my porch, and I am really excited for this one. I noticed that I have never posted any unboxing post so I decided to do one for one of these beautiful moments. 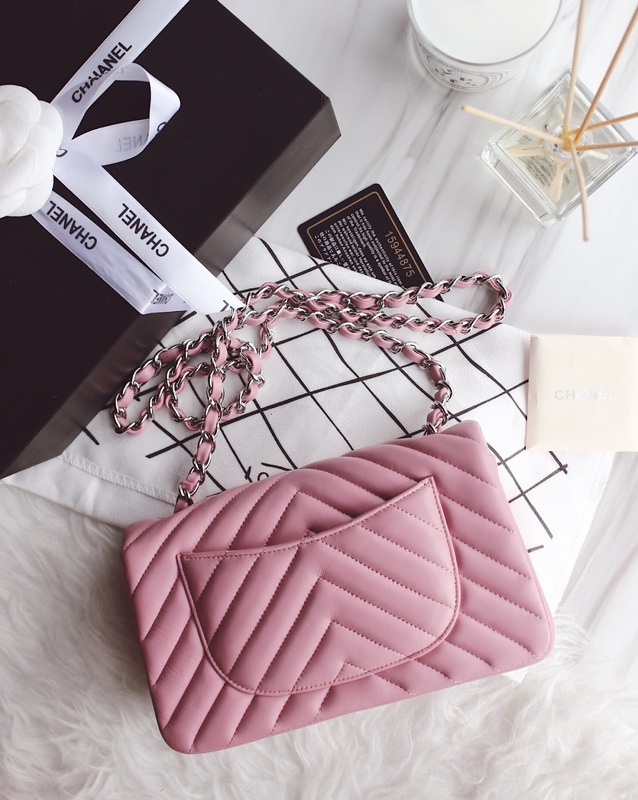 I have never bought any Chanel bag from this collection at all, it is made of lambskin which is very soft and smooth to touch. It feels so soft that every time when I touch it, I have to be extra careful so my nails would not scratch the surface of the bag. I chose pink this time as I have never owned any pink bag, so there we go. Another reason is that the pink color looks really cute on this particular design, though the actual product is in a slightly darker pink (it is not in baby pink, it looks a bit darker when it is not under the sun), it still looks amazing to me! I chose the silver compartments instead of the golden ones as I thought silver goes better with pink color. So how's the inside of the bag? I love it that there is a zip just above the small pocket so I could put all my loose changes and money inside (or anything important). The small pocket, of course, is a must-have, I always love to put all my cards in them so I could reach to them easily whenever I need to pay. The leather is also very soft on the inside so I might have to beware when I have to put my keys. But other than that, everything seems pretty good to me. This is also one of my favorite features of the bag, the small pocket at the back. As always, I usually put cards that I frequently use over here. 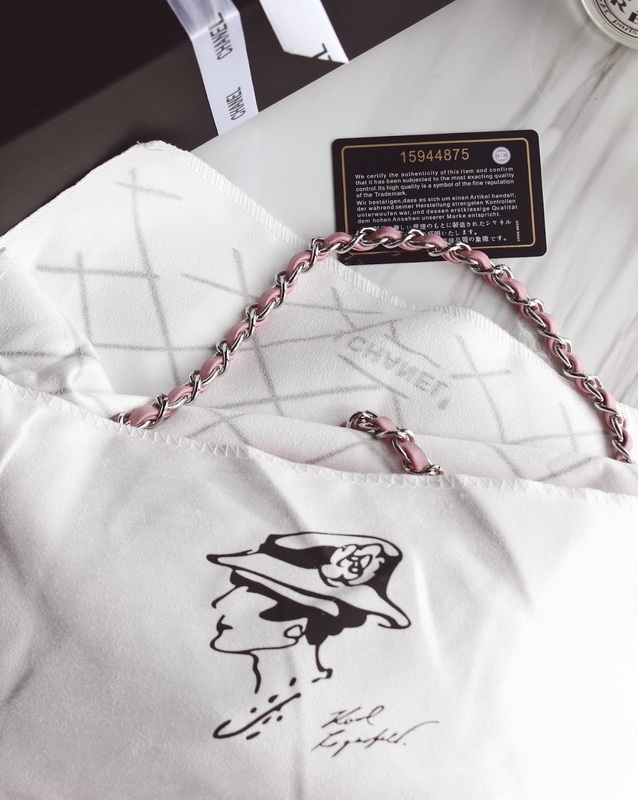 For this collection, I really love their dust bag, it is made of suede that really protects the bag, with the classic mademoiselle logo which greatly distinct from other dustbags. I seriously cannot wait to bring this out and shoot some OOTDs immediately, pink is definitely something new for my wardrobe but I guess everything goes with a Chanel right? 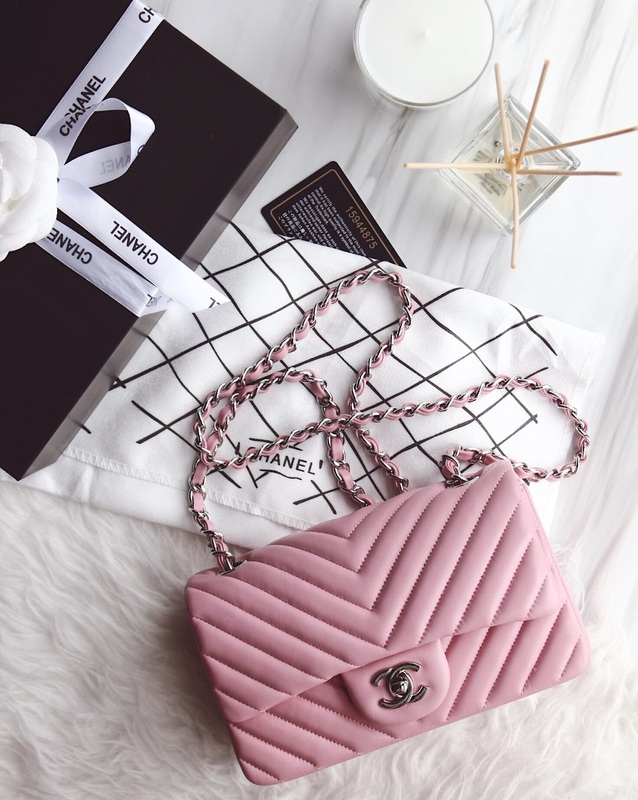 What is your favorite Chanel bag? And how would you style it? Tell me all of your thoughts!